The Mandatory Soft Story Retrofit Program (MSSP) was created in 2013 as a multi-year community-based effort led by the Earthquake Safety Implementation Program and enforced by the Department of Building Inspection to ensure the safety and resilience of San Francisco's housing stock through the retrofit of older, wood-framed, multi-family buildings with a soft-story condition. 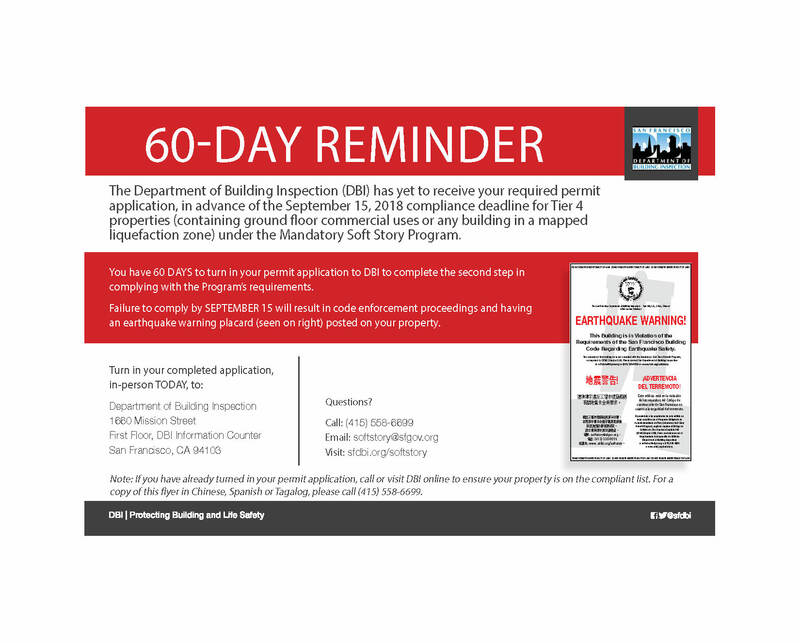 As part of this program, all affected property owners were noticed beginning in September 2013 and were required to have submitted their screening forms to DBI by September 15, 2014. DBI has achieved over a 99% response to the program. Buildings that have not complied with this requirement have been placarded and issued Notices of Violation (NOV). 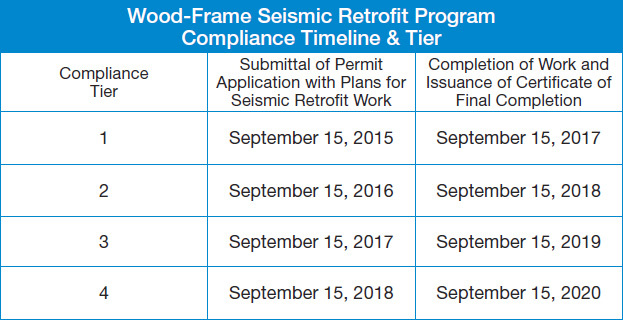 We encourage property owners of soft story buildings to take the necessary steps to comply with program requirements by filing for a permit to ensure their properties are seismically safe in anticipation of the next big quake. The ordinance applies to wood-frame buildings of three or more stories or two stories over a basement or underfloor area that have any portion extending above grade, and containing five or more residential dwelling units where the permit to construct was applied for prior to January 1, 1978, and where the building has not yet been seismically strengthened. 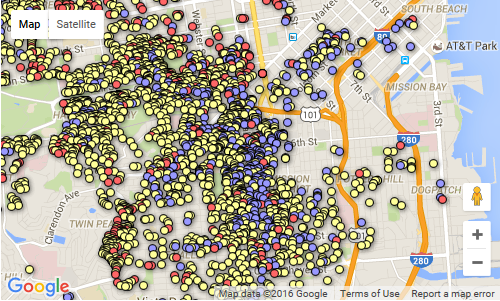 While these types of buildings and their associated risks are found in every neighborhood in San Francisco, they are most commonly found in the following districts: Mission, Western Addition, Richmond, North Beach, Marina District. We cannot predict when the next earthquake will strike, but we can work together to protect ourselves and our properties. Please see below for guides and helpful resources. For more information, please see the Ordinance and Informational Flyer (Chinese) (Spanish). Received a Notice of Violation?